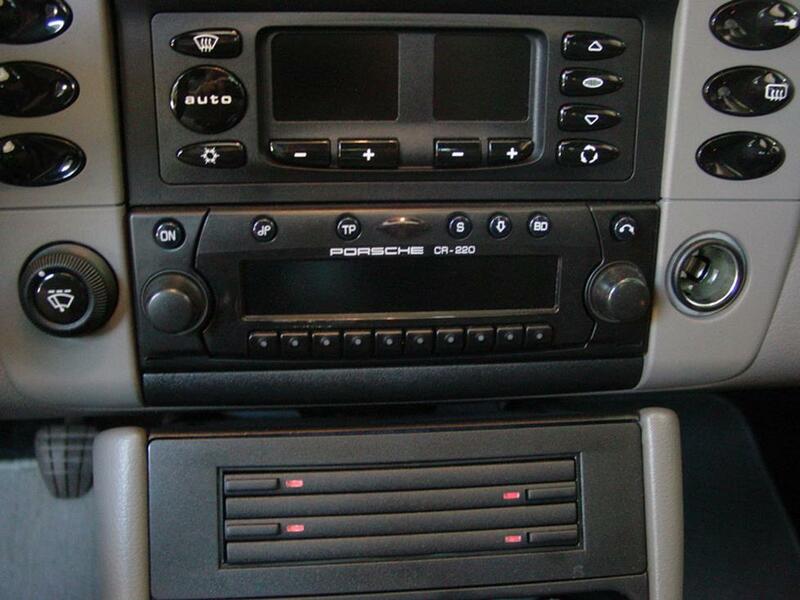 In a nutshell: This article is an overview of your 911's audio system and its upgrade options. Use our vehicle selector to find the gear that will fit your Porsche. 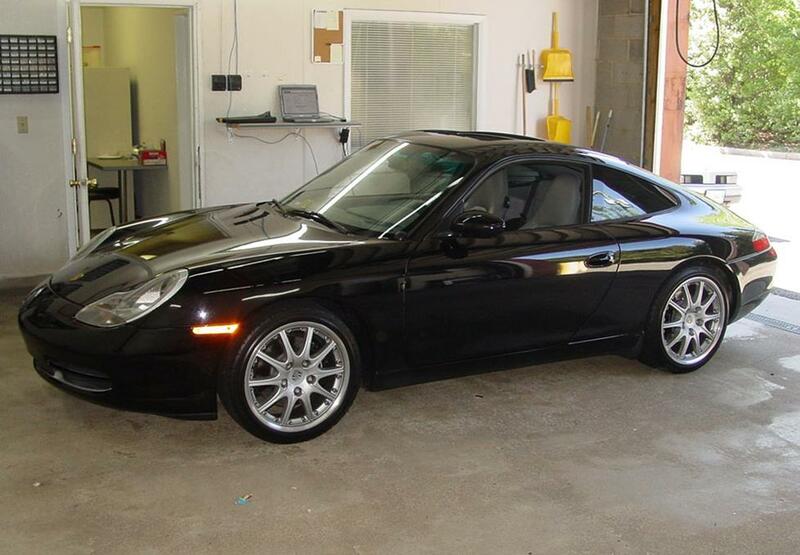 There are no insignificant Porsches, really, but the "996" edition of the Porsche 911 was a real milestone car. As the first-ever 911 model with a water-cooled engine, this car was a game-changer. Now that we're approaching two decades of water-cooled 911's, it seems like no big deal, but at the time, it was a very, very big deal indeed. To Porsche purists, some of whom still only begrudgingly acknowledge the water-cooled, front-engine 924 and 928 models, a "real" Porsche is air-cooled and rear-engined and that is all. To those people, a water-cooled 911 was about as appealing as a jagerschnitzel/Jaegermeister smoothie. Most everyone else liked it just fine, though, and this all-new 911 proved to be a big factor in Porsche's subsequent growth and success. Well, this car and a certain SUV, but we've already kicked one hornet's nest, so we'll stop now. Like all of the (many, many) 996 variants, the 911 Carrera is everything a Porsche should be, and perhaps more importantly, everything a 21st century Porsche needed to be. 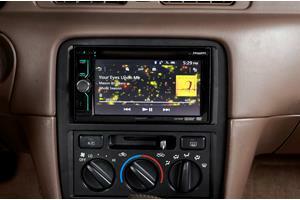 If you don't think your audio system is all that it could be, we'll help you tune it up. There were plenty of variations on the stock stereo over the years, but even the newest and best of them is well into its teenage years by now. If your 911 is a "daily driver" with some miles on it, you might as well replace the wheezy old stereo with something that will let you enjoy your music the way you want to. 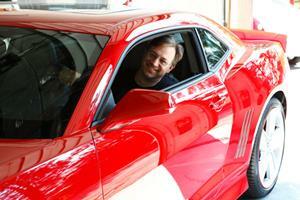 You should be out having fun in a car like that, and a nice stereo can add a lot to a blast down a country road. We're going to write about what we know here, but we're confident that the basics will apply throughout the rather extensive 996 range. We haven't researched the factory navigation receiver, so we're not going to get into that subject. If you know something we don't, feel free to share your experiences in the comments section below. And if you've given your 911 a thorough audio upgrade, please send some pics and info to our Custom Car Showroom. 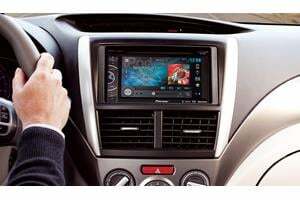 Removing the factory single-DIN receiver is a disarmingly simple task, considering how complex these cars can be. All you need to do is insert the DIN tools (included with your order) into the slots on the lower edges of the radio. Push the tools in until you hear a "click," then turn the tools inward, pull the radio out, and remove it completely. Connect the receiver wiring adapter to the new receiver following the included instructions, then remove the metal sleeve from the receiver, slide the sleeve into the dash opening, and secure it with the tabs. Hold the new receiver near the dash, connect the wiring harness adapter to the factory harness, plug in the antenna adapter, then slide the receiver into the sleeve and test to make sure it's working. There are a couple of things worth knowing, though. First, the wiring harness does not have an accessory power connection, so you'll need to connect your new stereo to the car's accessory power. Also, if you want to retain the factory amp, note that the wiring harness in this package connects to your new receiver's front and rear preamp outputs. If you've chosen a receiver without those outputs, our installation package will include the line converter you'll need to retain use of the amp. 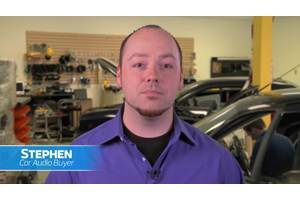 If you have questions, a Crutchfield Advisor will be happy to help you. The 911 speaker array varied quite a bit, but broadly speaking, you'll find speakers in the dash, doors (sometimes), and rear side panels. They're all pretty easy to deal with, so it's a good project for the DIY-er. These 5" speakers are easy to remove – they're right under the grilles – and a variety of 4" aftermarket models will fit here. 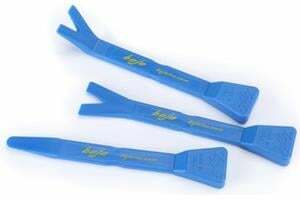 There aren't any mounting brackets available, so you'll need to use universal backstraps (or hot glue or silicone) to secure them in the cavities, but that's not as challenging as it might sound. If you (or the previous owner) checked the right boxes on the vast Porsche options sheet, you'll find a set of 5-1/4" speakers in the doors. To remove them, start at the lower edge of the sail panel and use a panel tool to release the retaining clips. Lift the panel up, disconnect the harness (driver's side only) and remove the panel. Next, starting at the top edge, pry up and then out on the door's pull handle cover to release those retaining clips and remove the cover. That'll expose two Torx T-30 screws, which you'll need to remove before removing the Phillips screw behind the door release handle. Open the door storage pocket and remove one Phillips screw, then pry out the "Airbag" emblem and remove the exposed 5/32" hex screw. Pry out the courtesy light assembly, disconnect the harness and remove it. Almost home…. Pry out the sides and bottom of the door panel to release nine retaining clips, then pull out the bottom of the panel. Lift up the panel, disconnect the harness and door relase cable to remove the door panel. Remove the four Torx T-10 screws securing the speaker and grille to the enclosure, then disconnect the harness and remove the speaker and grille. Replacing the 1- or 2-ohm factory speakers with higher-impedance aftermarket models will result in lower volume levels, so keep that in mind while you're shopping. In some cars, these speakers are woofers that only receive bass signals from the stock amp. To get full-range sound from your new speakers, you'll have to bypass the amp by splicing input and output wires together. Our tech support team can help you with the details. 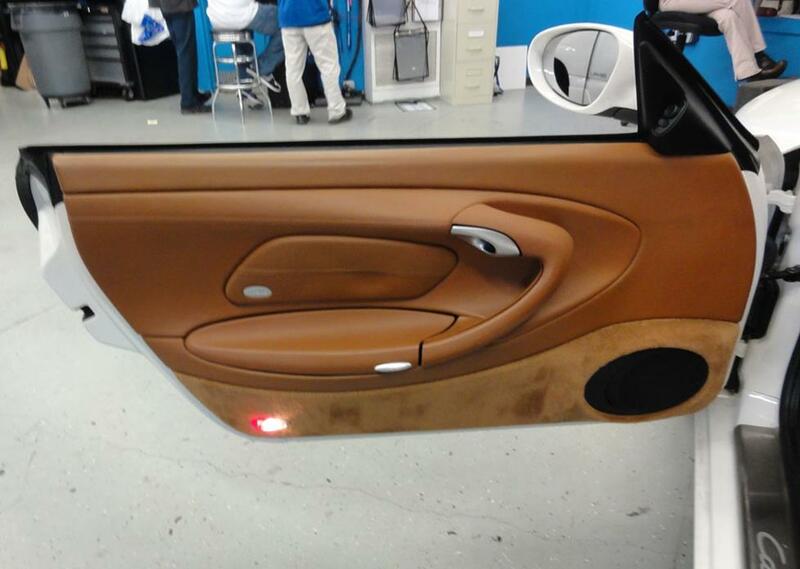 The rear seat side panel speakers vary a bit. In 8-speaker cars, which we'll discuss here, there are 4" speakers on either side. The 10-speaker system wedges two speakers into these spaces, but we have not had a chance to see exactly how. We can't imagine that the speaker removal process is much harder, but we're also not entirely sure what to tell you to put in their place. If you have some knowledge, please share it in the comments section below. 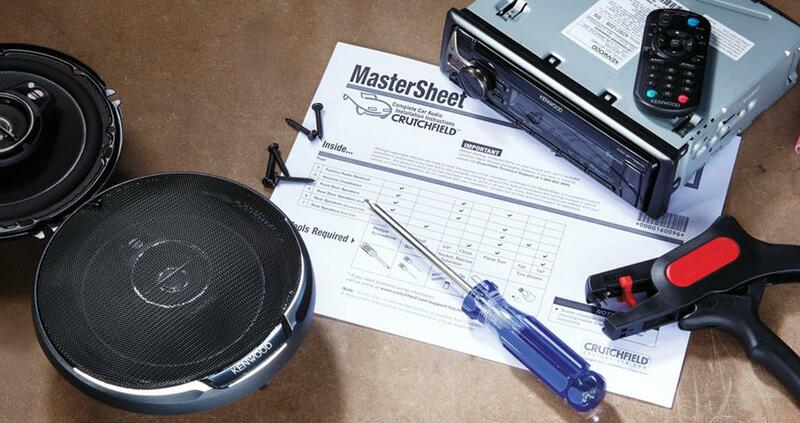 Replacing the 4" speakers isn't hard, and all the details can be found in your Crutchfield MasterSheet. There's no mounting bracket available, so you'll need to use our universal backstraps to help secure the new speakers. 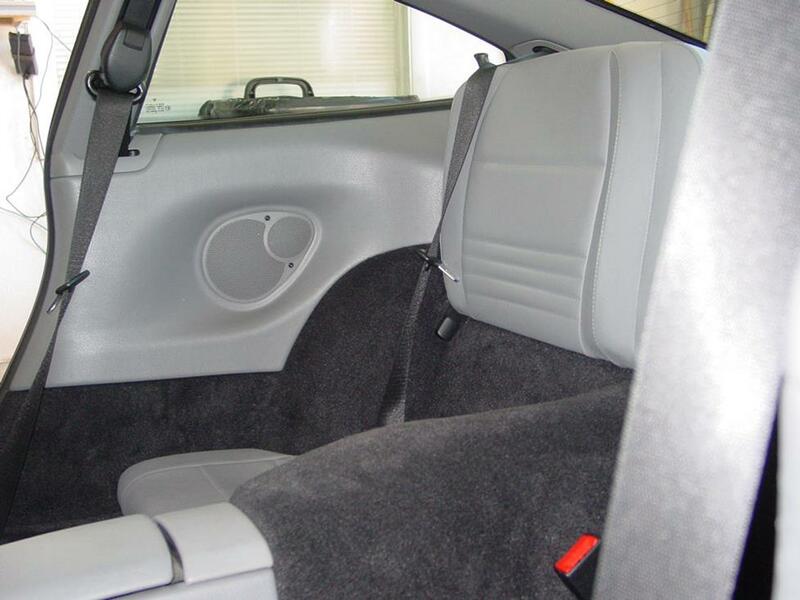 After consulting with our German friend, Herr Doktor Obvious, we can report that there's not a ton of room for a sub box behind the 911's rear seats. The available area in the coupe, for example, measures 37" W x 8" H x 8" D, and the convertible just isn't worth talking about in this context. A compact powered sub might work, though, so there's one option. 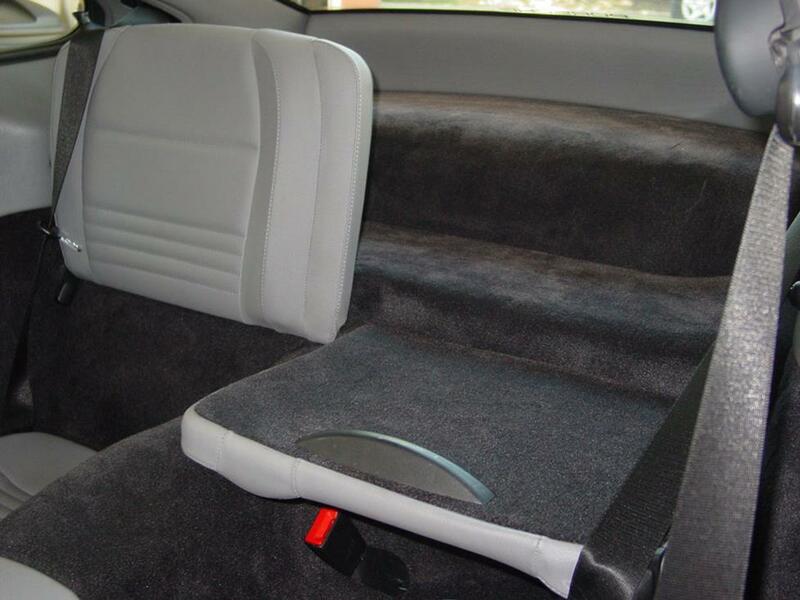 Another is the JL Audio Stealthbox® that's designed specifically for the 911 coupe. This custom sealed enclosure contains two 13TW5-3 subwoofers and mounts firmly behind the rear seats on the cargo shelf. If there's a stock subwoofer in the car already, that'll have to go. If not, the Stealthbox slides right in. Here are some other cool things you can add to your 911. The 911 is not the easiest vehicle to see out of when you're backing up in a crowded parking lot. 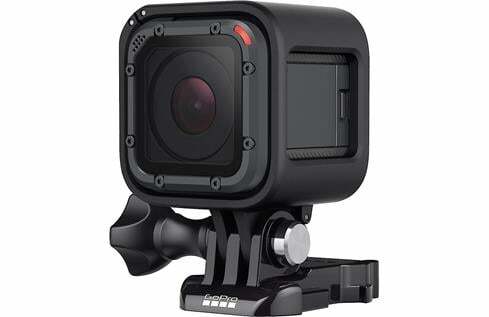 We offer a wide variety of rear view cameras that will make that a lot easier. You can go for a camera that mounts to your license plate and works with your new aftermarket nav receiver, or choose one that mounts onto your rear view mirror. If you enjoy taking your car to the racetrack, an action camera or a dash camera is a great way to record your hottest laps and analyze your performance. And on the way home, they're very handy for recording the behavior of other, decidedly less-talented motorists. 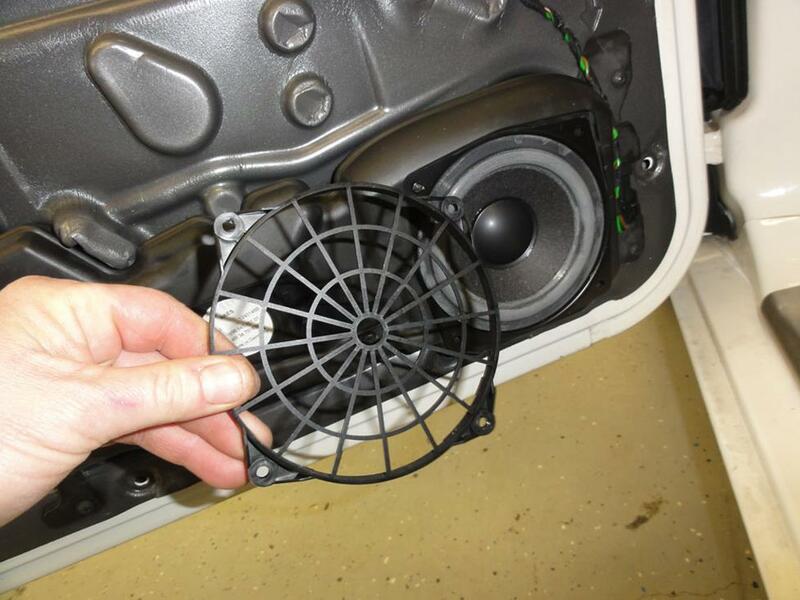 Replacing the factory radio will make a big difference in the performance of your new aftermarket speakers. To further improve the sound quality, consider installing a 4-channel amplifier. 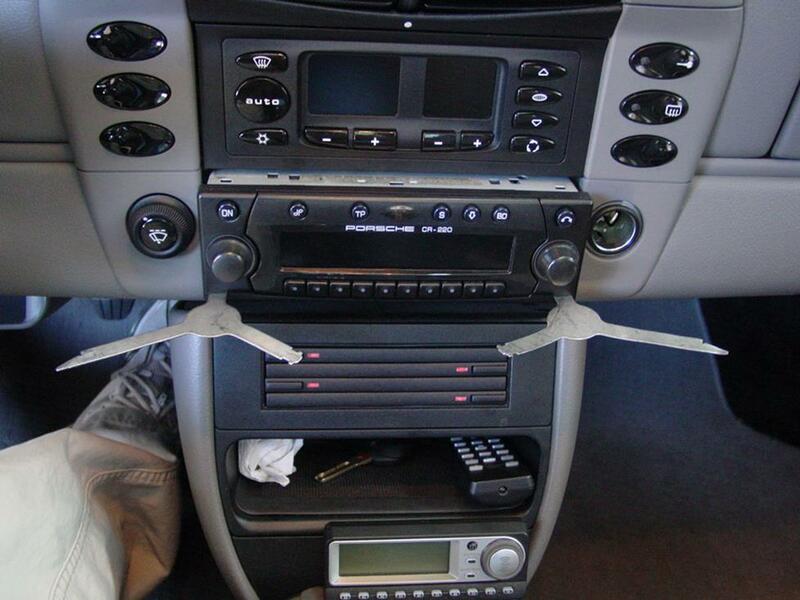 Talk to one of our advisors to get some ideas for how to build your car's system. Installing a security system in your 911 isn't easy (security systems rarely are), but even though most car thieves can't drive a stick, it's definitely a good idea. Our Crutchfield Advisors can help figure out what you need to get the job done, but we usually recommend taking your car and new gear to a professional installer.